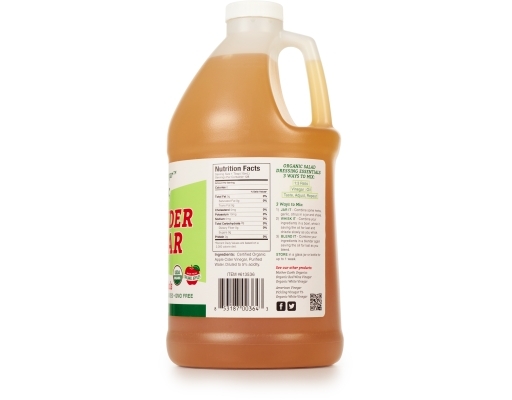 Mother Earth Organic Apple Cider Vinegar has wide-ranging benefits, including everything from curing hiccups to alleviating cold symptoms, and some people have turned to apple cider vinegar to help with health concerns including diabetes, cancer, heart problems, high cholesterol, and weight issues. 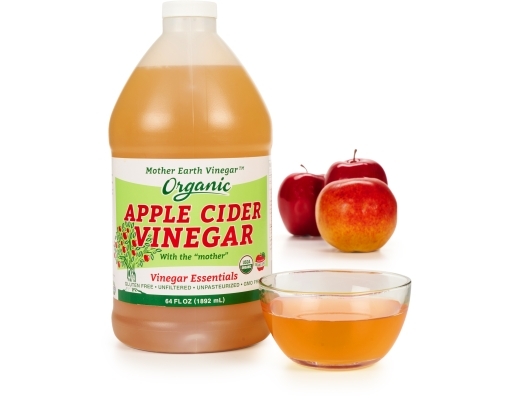 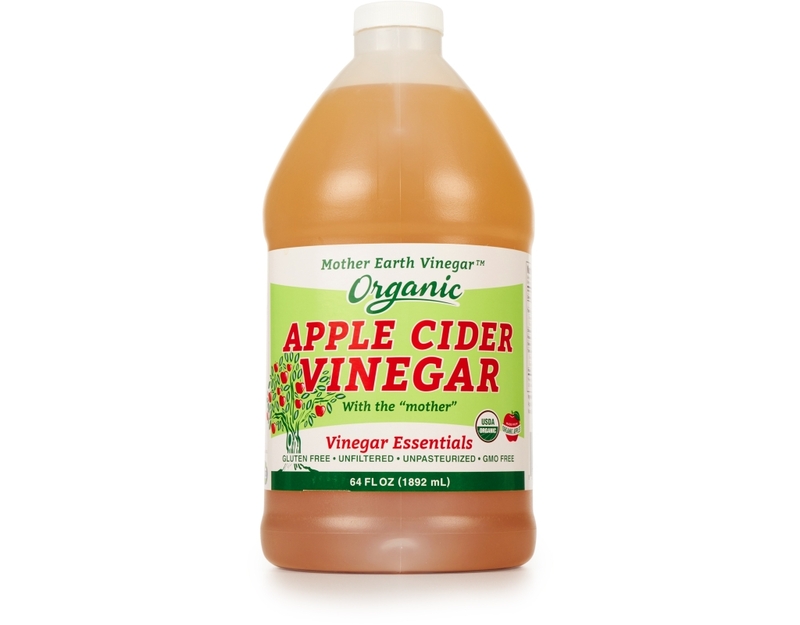 Organic, unfiltered apple cider vinegar also contains “mother,” strands of proteins, enzymes and friendly bacteria that give the product a murky, cobweb-like appearance. 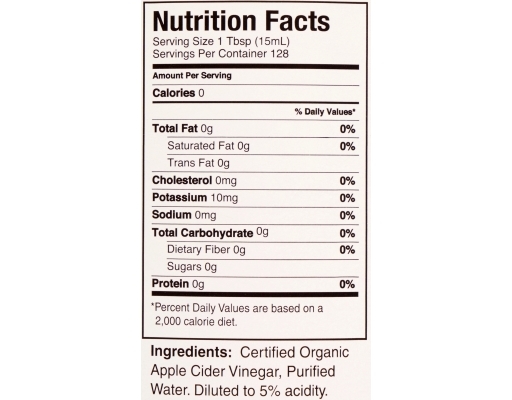 Certified Organic Apple Cider Vinegar, Purified Water. 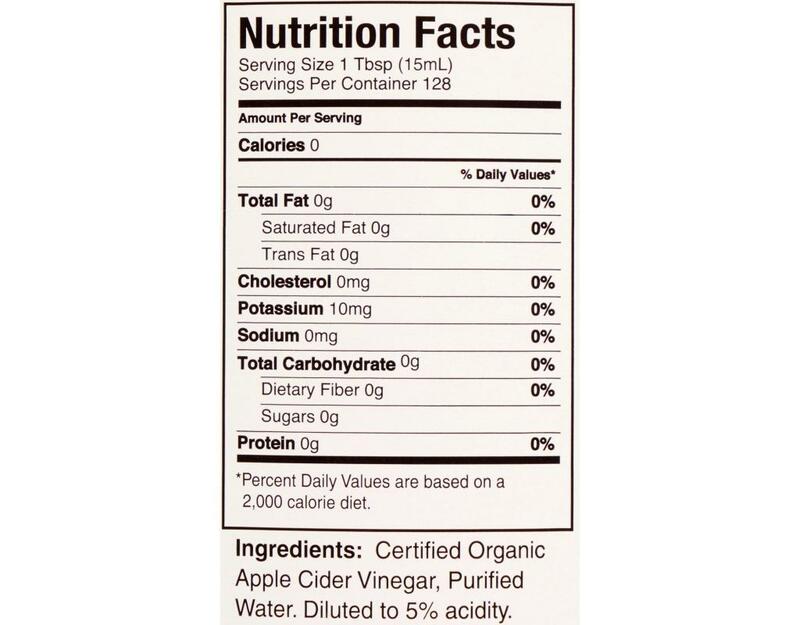 Diluted To 5% Acidity.